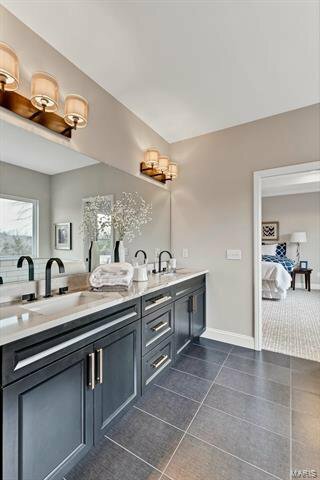 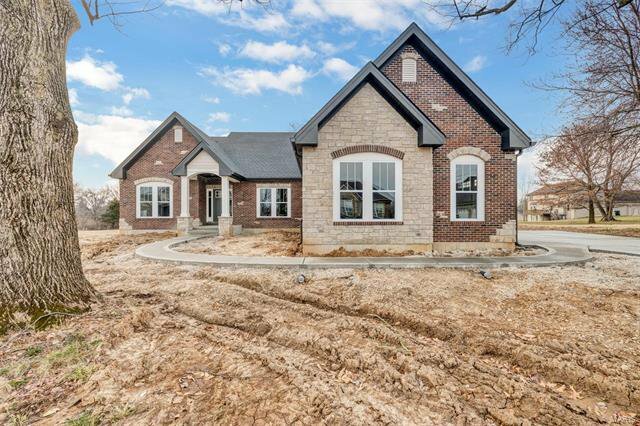 Stunning inventory home by Graystone Custom Homes. 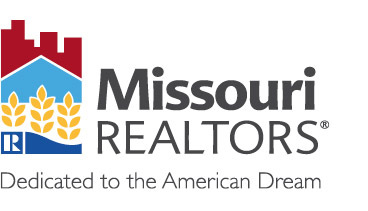 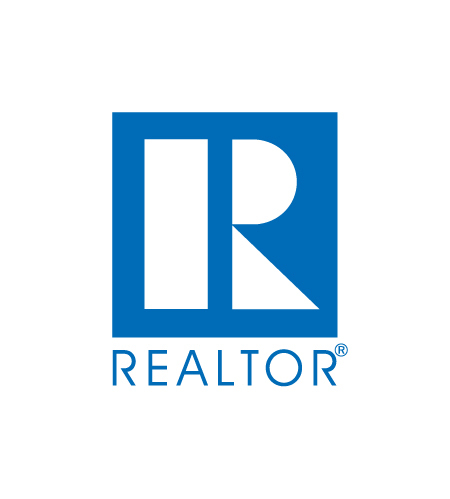 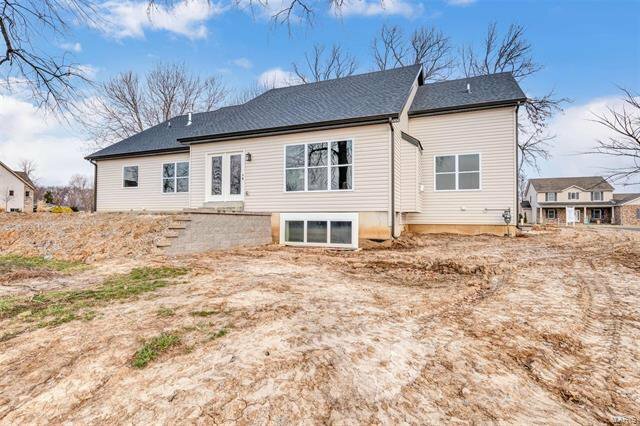 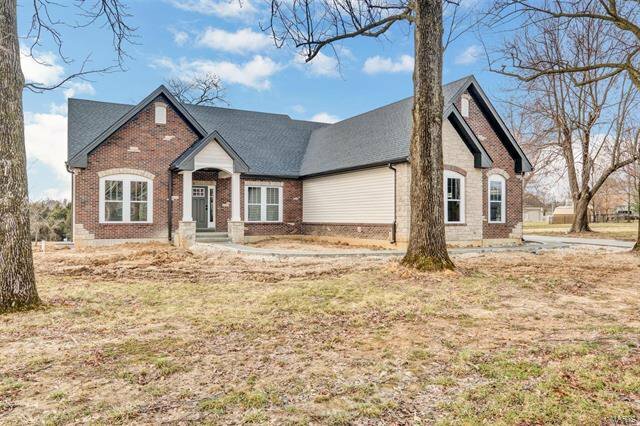 This top selling Ranch has 4 BD, 4 BA, 3,570 s/f of beautiful living space on a .35 acre lot. 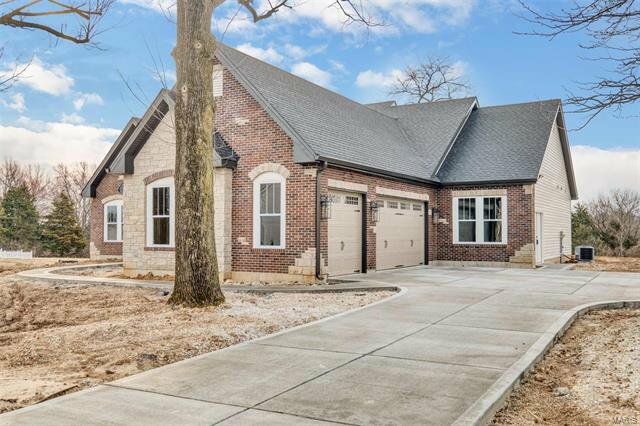 The elev is exquisite w/brick and stone, arch entry, arch shingles, upgraded front door & 3 car garage w/added work shop. 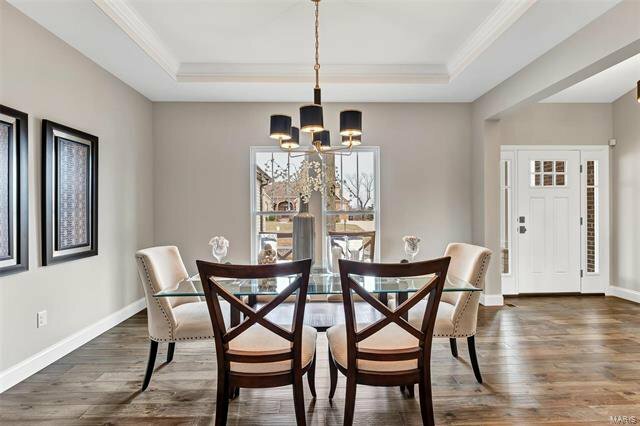 Features inc 9’ ceilings, Grt Rm with, gas FP w/stone or marble hearth and face. 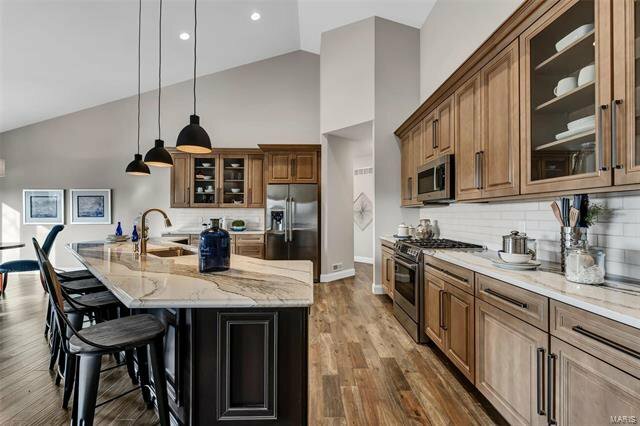 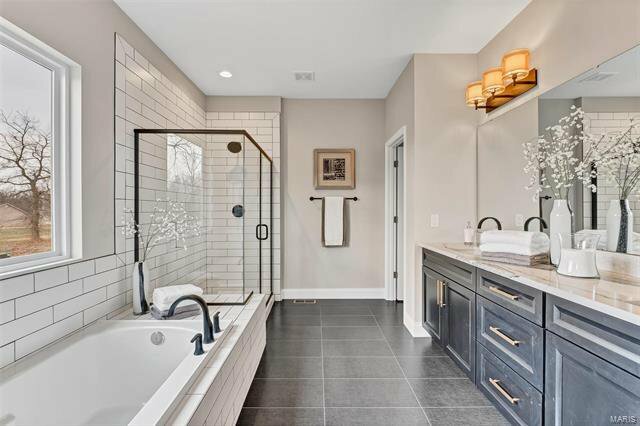 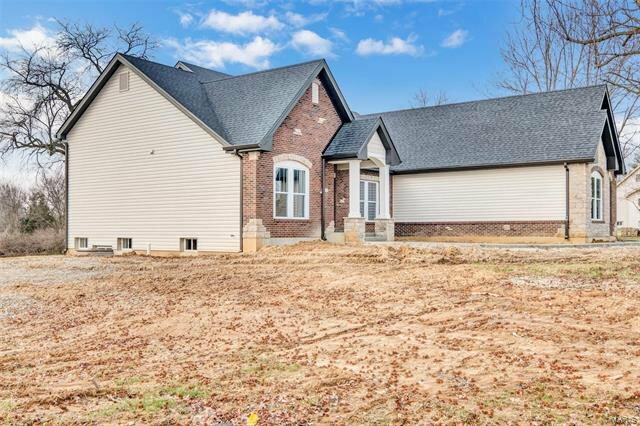 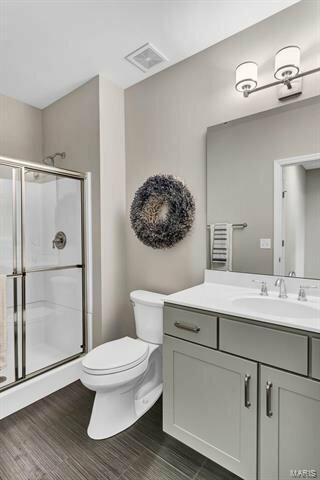 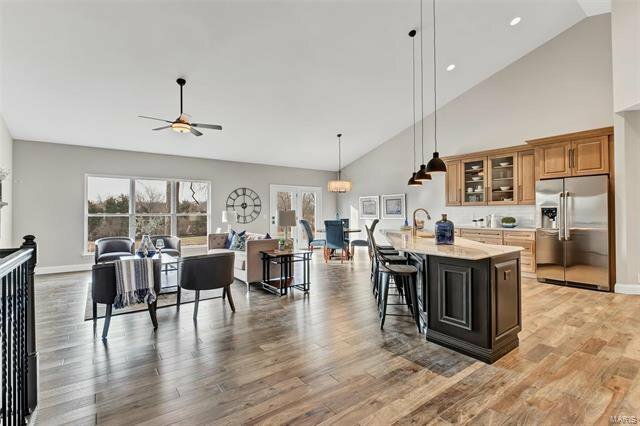 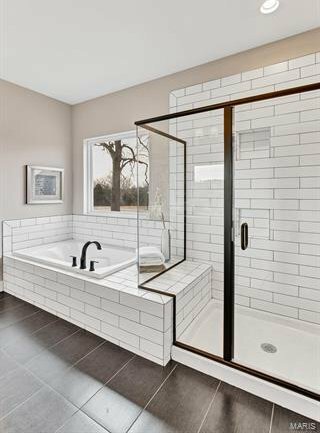 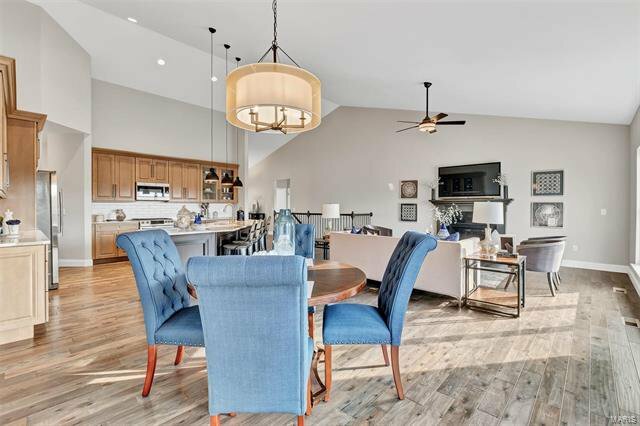 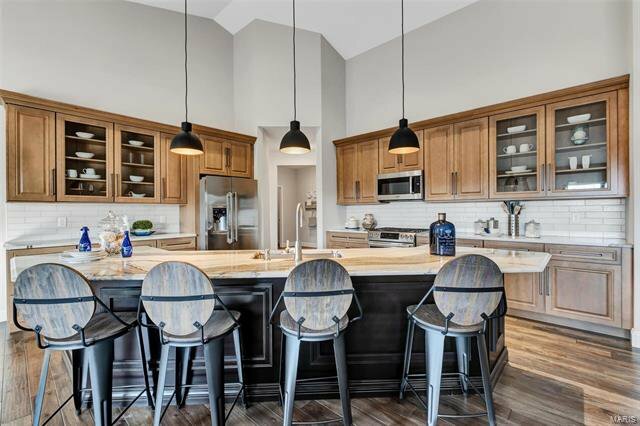 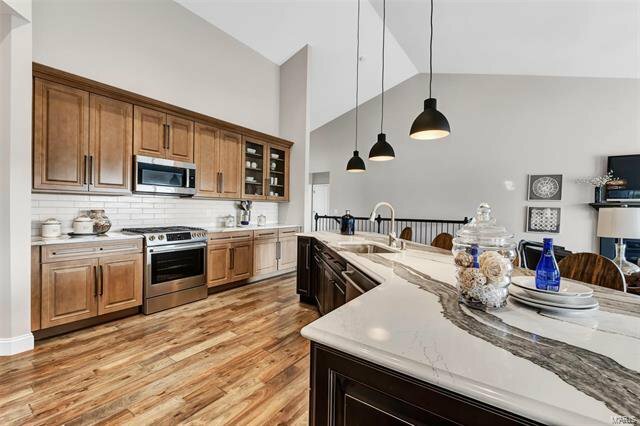 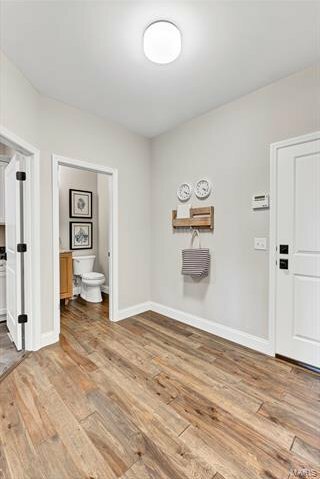 Deluxe Kit w/island, granite countertops, Whirlpool Stainless Steel appliances, custom cabinets, stone tile b/splash, W/I pantry, hardwood flrs, 5.25 base trim, wrought iron balusters. 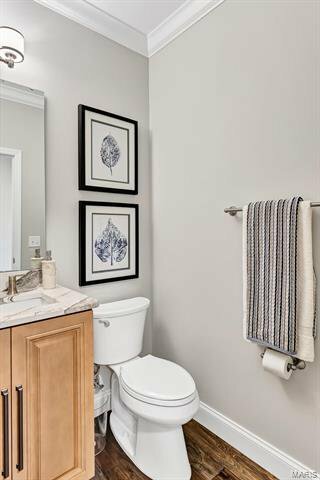 W/I master closet, jack-jill bath, 12’ X 12’ Patio & more. 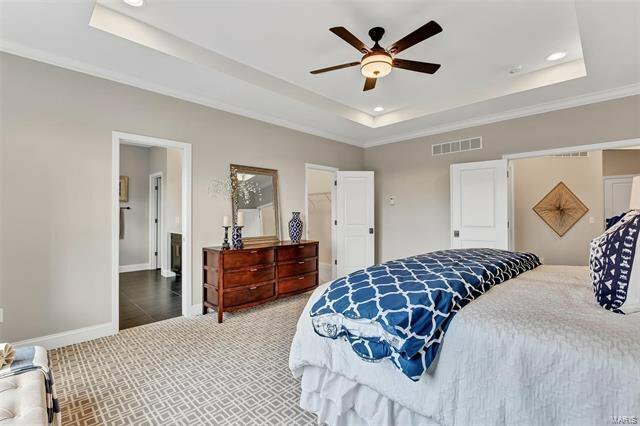 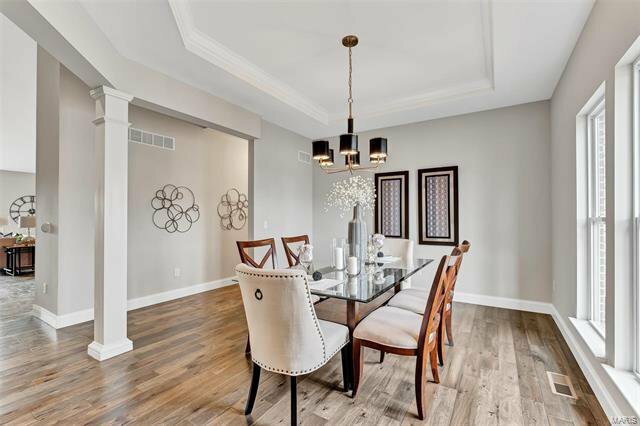 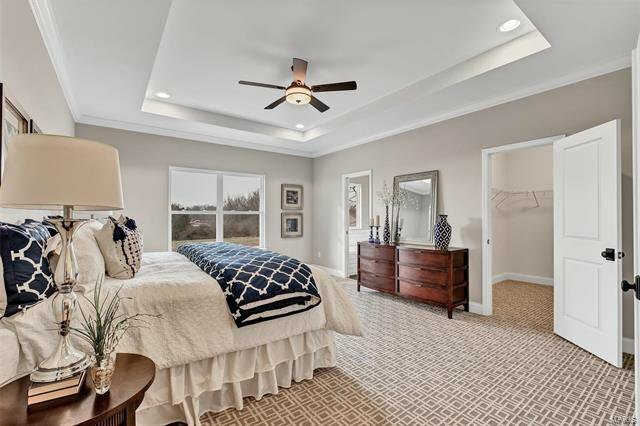 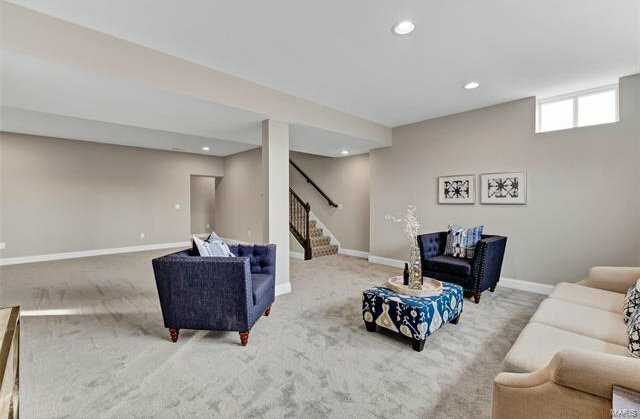 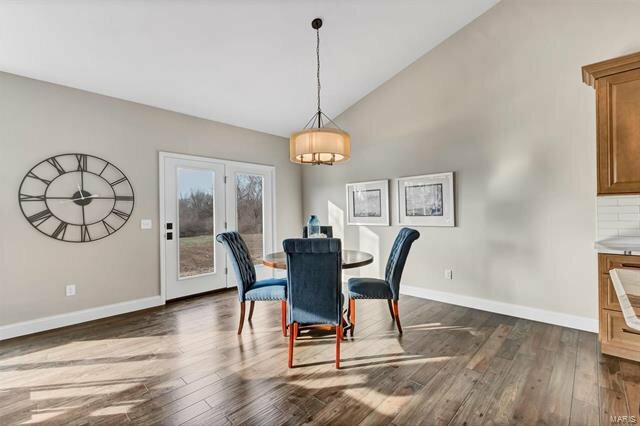 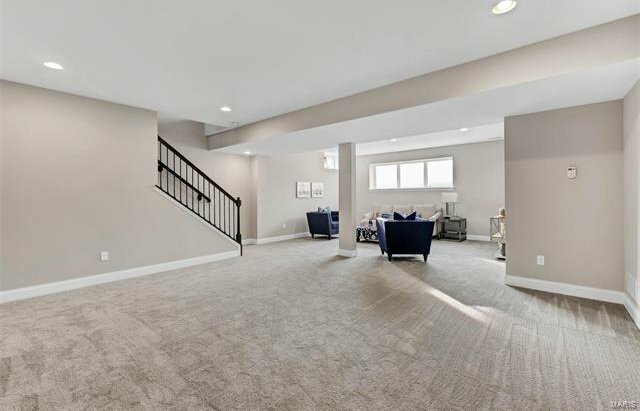 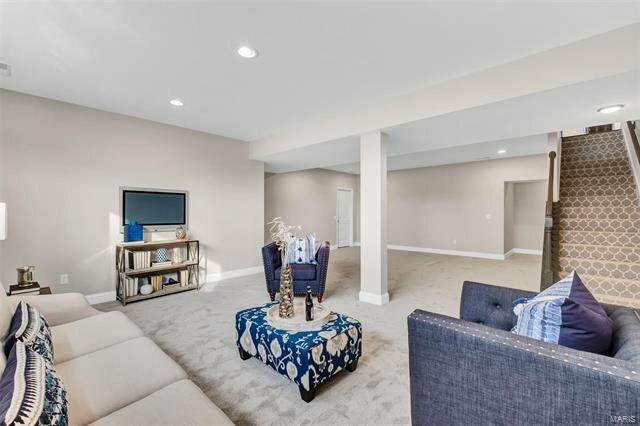 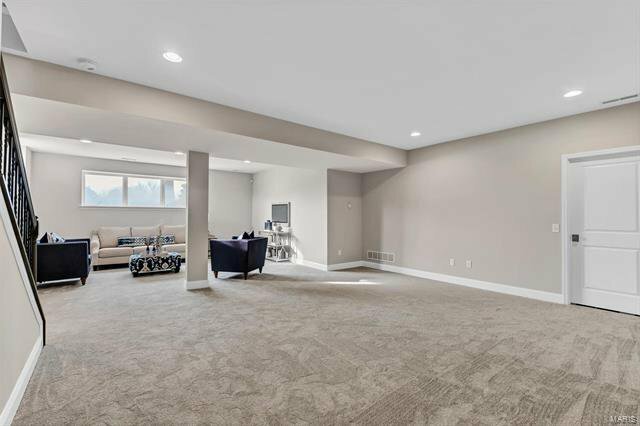 This private setting offers easy access to Hwys 364, 94, 64/40, Chesterfield Valley and is located in the desirable AAA-rated Fr Howell School Dist.